As indicated in the council’s weekly road report I shared yesterday, gas network work commmences on Riverside Drive today. “Following discussions with Dundee City Council, our project will start on Monday 30 July and last approximately six weeks. We’ve split the project into two phases to help minimise disruption. During phase one of our work we’ll be working in Riverside Drive, near the entrance for Barnetts Mazda garage. To ensure everyone’s safety while we work, two-way temporary traffic lights will be in place around our work area. We expect this phase to be complete within three weeks. Our work will then continue eastwards along the road. During phase two we’ll be working east of Tay Rail Bridge and three-way temporary traffic lights will be in place around our work area. Riverside Approach will also be closed to southbound traffic and a diversion route will be in place for motorists. We’ve created a dedicated webpage for this project which can be accessed through the following link – here. I asked Scotland Gas Networks (SGN) about progress with their work in the Perth Road/Glamis Road area – particularly as residents have queried how long the temporary traffic lights on Perth Road at Farington Terrace will continue. “We are currently completing the final phase in Perth Road. In order to maintain gas supplies we have to carry out the work in stages which unfortunately sometimes means returning to areas we worked in earlier in the project which obviously doesn’t look good to members of the public. 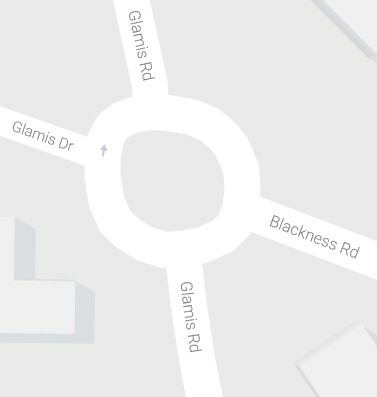 Residents will have noted that the temporary traffic lights on Blackness Road at the Glamis Road/Glamis Drive roundabout (see right) have disappeared. However, this is unfortunately not because the works by Scotland Gas Networks (SGN) are completed. “Unfortunately our work at the Glamis Road roundabout is well behind schedule due to the ground conditions we are encountering. However, as Scottish Water (SW) is programmed to start in Blackness Road shortly which would conflict with our work, we are lifting the traffic management at the roundabout before they start and will return to complete our work here after SW have finished. In the meantime we will be continuing on Glamis Road itself as this won’t disrupt traffic, and will also be returning to Perth Road to complete the service works and mains abandonment which we had to abort previously. “The SW work will start 20 February at Glenagnes Road junction. The second week they will move south to Rosefield Street for the second week. Once SW is complete on their section of Blackness Road, SGN will return to Blackness Road Glamis with their original set up to complete works there. Our contractors, Morrisons, will begin a short programme of work to replace more than 300 metres of ageing water mains in Thomson Street, Dundee. Work is planned to start on 23 August and last for approximately 4 weeks. Our engineers will use the latest slip-lining method, in order to keep disruption to a minimum. Slip-lining involves easing the new durable, plastic pipe into the existing water main, which in itself provides a robust outer protection. Further to my letter dated 29th July 2010, I am writing to you as promised with an update on the work to replace the water mains in Thomson Street. Work is planned to start on 23rd August and last for approximately 4 weeks. During this time it will be necessary to close Thomson Street to allow all work to be carried out as safely as possible. Work will be carried out in 3 sections and access will be maintained for 2 of the 3 sections of Thomson Street at any one time. Each section will take approximately 10 days to complete and an interruption to your water supply is required to connect your property to the new water main. Please be aware that the duration of each section may change depending on the progress of the work. Due to the nature of the water network, some properties will require more than 1 interruption. You will be given 48hrs notice of any supply interruptions. Working hours will be Monday to Friday 07.30 to 18.00 hrs. No weekend working is anticipated at this stage. Our contractor Morrison Construction will also assist with bin collections for each section when it is closed for our work. Bins should be taken out as normal where Morrison Construction will assist with moving bins to appropriate areas for collection. Ally Mitchell from Morrison Construction will be available during working hours to provide assistance and can be contacted on 07809 530642. Any out of hours issues, please call our Customer Helpline detailed below. We will make all reasonable efforts to minimise disruption. Dundee City Council propose to make an Order under Section 14(1) of the Road Traffic Regulation Act 1984 for the purpose of facilitating water and gas mains replacement works . The Order is expected to be in force for eighteen weeks from 23 August 2010 . Its maximum duration in terms of the Act is eighteen months. The effect of the Order is to prohibit temporarily all vehicular traffic in Thomson Street from Perth Road to Magdalen Yard Road. An alternative route will be available via Perth Road , Windsor Street and Magdalen Yard Road. 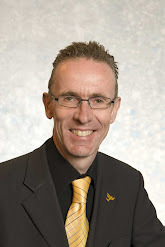 Please forward any comments you may have regarding this proposal to the Network Management Team, City Development Department, Tayside House, Crichton Street , Dundee , no later than five working days prior to the commencement date. If you have any queries please contact the City Council on 433082. I have had various discussions with the City Council regarding this work being undertaken by Scottish Water (a new water main – this works will be undertaken first – starting 23rd August and likely to take until around 19th September) and then Scotland Gas Networks (a gas renewal scheme, to start immediately Scottish Water complete their work. 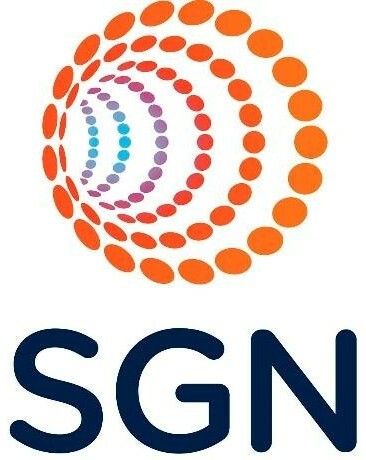 SGN’s gas renewal scheme is likely to take until 14th November). My main areas of discussion have surrounded assurances about access for residents during the work, particularly those with mobility difficulties, and about proper reinstatement of the road thereafter. Speaking to the City Council again this morning, I am assured that the utility companies will be writing to residents shortly and I will be pleased, as always, to raise any concerns residents highlight during what will be significant gas and water works in Thomson Street in the coming months.